NBCSports.com reports that Derek Jeter is not getting married. Instead, it is his sister, Sharlee Jeter, who will be getting married in November. SportingNews.com points out that agents are saying that the Yankees only have $2 million left to spend, and that will not be enough to bring back Johnny Damon. MLB.com says that it is possible for the Yankees to go beyond their budget to haul in Xavier Nady, who they are very interested in. They also say that they would not go far enough to bring back Damon. MLB.com also points out that their are still remaining options for the Yankees in left field, beyond Jerry Hairston Jr. and Reed Johnson. Among those still available are Rocco Baldelli and former Yankee, Marcus Thames. 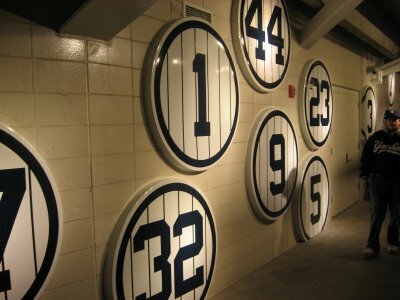 After Jeter, what current Yankee has the best shot at seeing his number retired? Given how his time in the Bronx has been riddled with controversy, would A-Rod even have a shot? Interesting question, Jeff. With all the free agent talks and trade talks that the Yankees are always involved in, very seldom do we get to step back and speak about the legends. 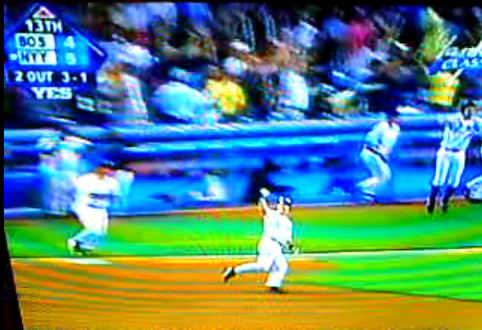 Your right, Jeter is a given. But who else? When a first saw this question, I thought about the core four. Jeter, Rivera, Posada and Pettitte. Jeter’s in. Rivera — who’s number is already retired for Jackie Robinson — is in as well. 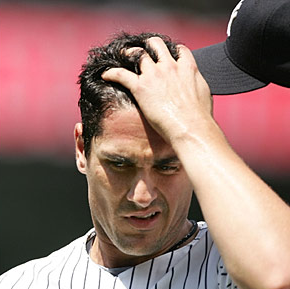 As for Posada, I don’t think he has a real Yankee legacy like Rivera and Jeter. Pettitte, though, with all of those domianant years, does deserve it. Although I doubt that will happen. Who else? 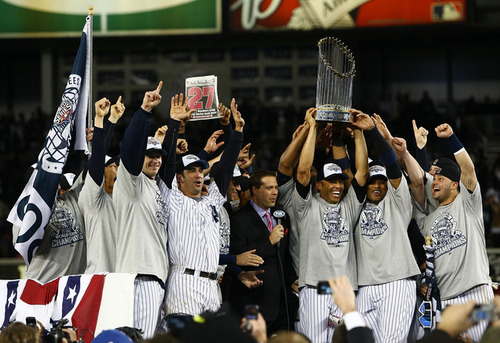 Well, you have to think about the Yankees that will be around forever, guys who the Yankees would never let go. To me, those are Phil Hughes, Joba Chamberlain and Robinson Cano. Of those, I think Cano will do it. He is an MVP type player, and there is no doubt in my mind that he will win multiple batting titles. Hughes and Chamberlain are iffy. here, and I’ll add a link to your blog. Be sure to include your name and location. Of the 28 overall votes for American League MVP, Twins catcher, Joe Mauer stole 27 of them to wrap up the first award of his career. Mauer also added his third batting title of his career after batting .365 this season. Mauer was up against a duel of Yankees this season. 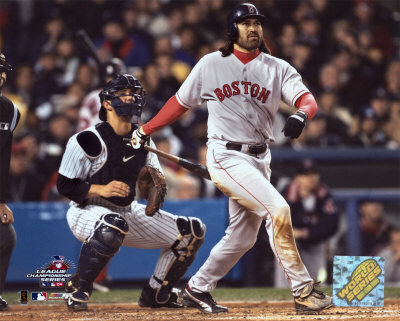 1B Mark Teixiera and SS Derek Jeter came in at second and third respectively, with Detroits Miguel Cabrera, Anaheims Kendry Morales and Bostons Kevin Youkilis to follow. 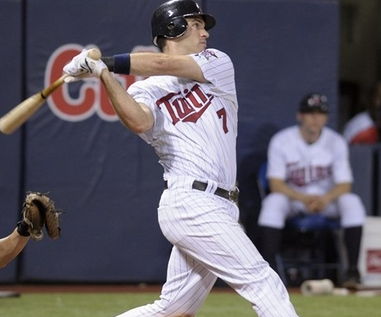 Mauer also lead the league in OBP and SLG and recorded career highes in home runs, batting average, hits and runs batted in. This was a well deserved award for Mauer who has had the award stolen from him nearly every year. Teixiera and Jeter made it a difficult case, but Mauer has finally run away with one of the most deserved and most overdue awards in major league history.